Netflix has revolutionised the way we watch television at home. It has allowed us to stream movies and TV shows on demand and is even responsible for the relatively new phenomenon of binge-watching. Traditional media and home entertainment businesses are playing catch-up in streaming. Discovery recently struck a $2bn (€1.7bn) deal to stream the PGA Tour golf in every country outside the US. The Walt Disney Company has started streaming sports through its ESPN brand and has plans to roll out a Disney-branded streaming service in 2019. The near 115pc gain in Netflix’s share price since the beginning of the year values it at just over $180bn, roughly the same value attributed to Disney. However, that’s where the similarities end. Disney has annual cash flows of around $12bn, a dividend yield of 1.6pc and is trading on 17 times future earnings estimates. Netflix has negative cash flows of around $2bn, pays no dividend and is trading on over 140 times future earnings estimates. The Netflix business model has gone through many changes since it listed 15 years ago. It has morphed from being a US-based mail-order DVD rental business to a pioneer in the global streaming media market. When it started streaming content in 2007, it sourced that content from studio suppliers such as Disney. As Netflix began to win market share, existing content suppliers tried to squeeze it with price increases. This vulnerability in its business model forced Netflix to evolve from being purely a distributor of content to acquiring and producing its own content, which has resulted in popular series such as House of Cards and The Crown. 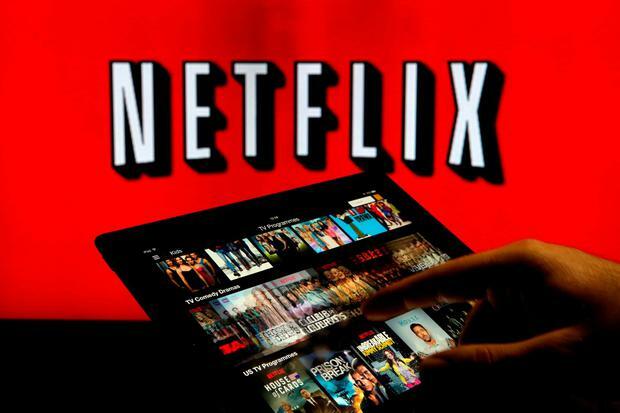 Netflix spent over $9bn on content in 2017 and is expected to spend the same again this year. This puts it among the largest spenders in the industry – which is both an opportunity and a risk. The opportunity lies in its ability to attract more subscribers through its original content. The risk is a financial risk – that is, will it achieve the level of subscribers required to justify the cost of producing that original content? Netflix is a good example of how the business models of many young subscriber-based tech firms currently operate. The main objective is to acquire as many users as possible in the hope that scale will eventually lead to profitability. In the ensuing land grab for subscribers, losses are tolerated for many years and the company uses shareholders’ equity to fund the growth. This model is in stark contrast to traditional companies like Disney who can fund new investments using existing cash flows or through acquisition. Disney recently acquired a controlling stake in a leading streaming company. Disney may be playing catch-up in streaming but it has a strong brand, a loyal following, excellent content and the financial strength to compete with anyone in the industry. Netflix has first-mover advantage, a rapidly growing subscriber base and is now creating quality content. There are two big questions for investors when contrasting the two companies. First, does the high-growth strategy employed by Netflix justify the higher valuation? Second, can Disney make inroads into digital streaming? The more speculative investor might favour Netflix’s subscriber acquisition strategy while the more defensive investor might feel more comfortable with Disney’s traditional approach of acquiring established businesses.